The boat is so sharp that it does not seem true! 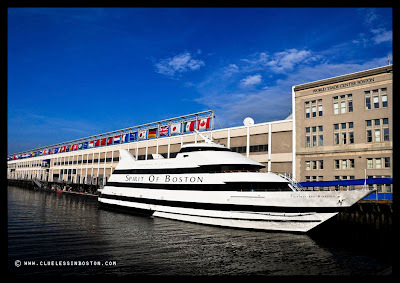 That's not how I imagine the real "spirit of Boston"..:)An older boat would make a best symbol.. Surprised by the lack of tourists. 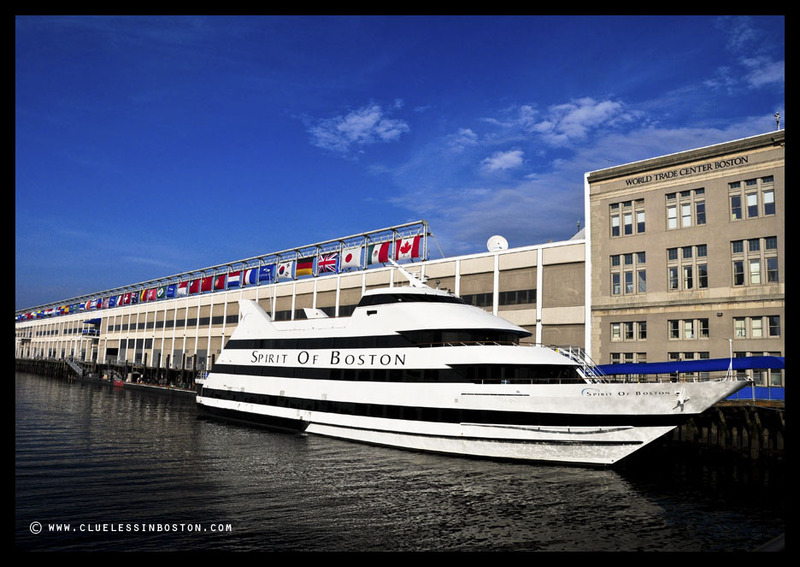 I'd love to take the dinner cruise around Boston. Ever done it? I told the servants they could borrow it for the day! I really like the look of the ship. From their web site it looks like an elegant floating restaurant. Wow, looks more like a space ship (or my electric iron!) than a boat.